2,672 sq ft; lot: 5 acres - MLS# 1333411 Courtesy of Coldwell Banker Tara Prop. Fabulous NW timber frame home is light & bright even on grey days. 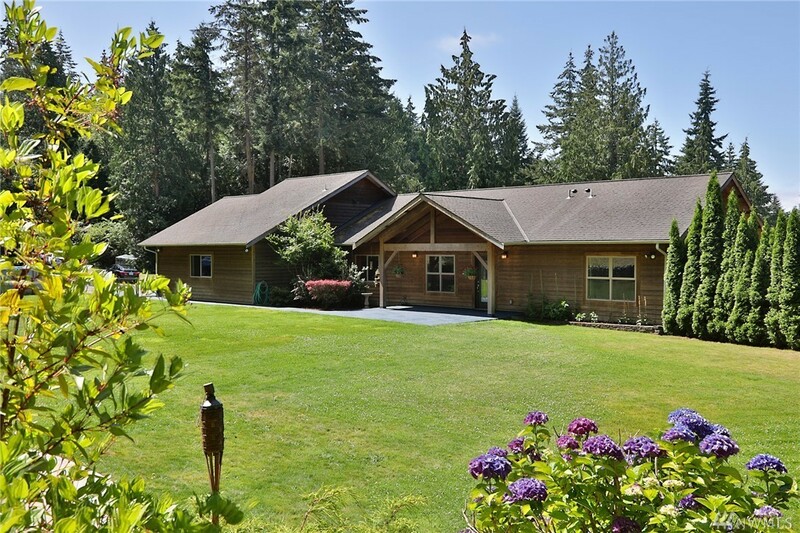 Private, but convenient 5 ac, is a wonderful playscape w/sprinklered, fenced yard, above ground pool, sports court, hot tub & fire pit. Open kitchen w/granite counters & stainless appliances is great for entertaining. Open stairs lead to sunny lower level family rm w/woodstove, 2 bds, 2 bonus rms & 2 full baths. This lovely home boasts in-floor radiant heat, fiber optic cable for Big Gig access, & main floor mstr w/ensuite bath.